A big deal for Humanity? Three months after delegates to the World Humanitarian Summit have gone back to their communities, what will all the big promises mean over the long term? 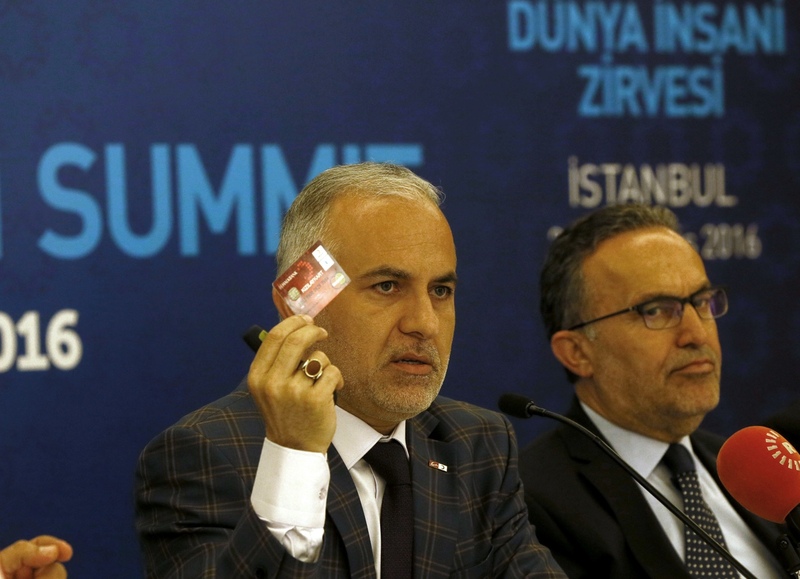 With the war in Syria in its sixth year, and upwards of 2.7 million refugees of that war now living in Turkey, the choice of Istanbul as host for the World Humanitarian Summit was particularly poignant. One didn’t need to look far to confront the very challenges the global meeting was seeking to address. “There are hundreds of thousands of Syrian refugees in Istanbul,” noted Naci Yorulmaz, vice president of the Turkish Red Crescent Society, who was cautiously optimistic that the global meeting in May 2016, organized by the United Nations, could be an important step towards solving an overwhelming set of pressing humanitarian problems and helping humanitarian organizations generate more pressure on states for action. “After this meeting, I hope we will have a stronger voice,” he said. Giving a voice to local and nationally based humanitarian organizations — and the people they seek to help — was a recurrent theme at the Summit, which brought 9,000 delegates from 173 countries together around the Herculean task of reshaping the way aid is delivered and pressing states to make concrete commitments to end conflicts or, in the meantime, protect civilians caught in the crossfire. Extensive consultations with local relief organizations and communities affected by crises helped shape the Summit’s call for greater local involvement in humanitarian decision-making. For Yorulmaz, the true test of how well the Summit attains that goal is whether the people affected by conflict and other emergencies see any meaningful change in their situations. One person in a good position to answer this question is Al Hakam Shaar. Born and raised in the Syrian city of Aleppo, Shaar is a researcher at The Aleppo Project, a platform for Syrians and non-Syrians to discuss the future of this war-torn city. Shaar says many of his fellow Syrians feel the ideas proposed at the Summit are indeed relevant. But he said it’s hard for many of them to see how the agreements made in Istanbul will affect the dire situation people face every day. “Many of the criticisms of the summit were that, although it called for fighting the root causes of human suffering — rather than always remedying the situation — there were no suggested mechanisms to achieve this,” he said. Andrew Connelly is a freelance journalist based in Istanbul, Turkey. While the Summit produced nothing close to a radical rethink of the aid system, or any ground-breaking commitments to the protection of civilians (see page 4), 48 states did sign a new pledge in support of international humanitarian law. Further, the meeting produced many constructive disruptions to business as usual. Perhaps the most significant outcome was the signing of the ‘Grand Bargain’ — a package of reforms to make aid delivery more efficient and sustainable — signed by the top 30 donors and agencies and supported by the IFRC and the ICRC. A key element of the Grand Bargain is a focus on increased ‘localization’ with a target of 25 per cent of humanitarian aid going as directly as possible to local and national agencies. Currently, less than 0.02 per cent of aid monitored by the Financial Tracking Services goes directly to local humanitarian organizations. Peter Maurer, president of the ICRC, agreed. “The Grand Bargain is not a panacea for all the problems in the humanitarian ecosystem, but it will help make sure money is put to optimal use and, crucially, help to raise new funds,” he said. These commitments were also welcomed by many small, relatively young, non-governmental organizations (NGOs) working in solidarity with local communities hit by crisis or conflict. Mohammed Katoub, from the Syrian American Medical Society (SAMS), welcomes the idea that a greater percentage of funds raised goes directly to organizations working on the ground. More than one-third of SAMS’ funds come from private donations but the rest is funnelled through international NGOs, he says. “Hopefully after this we will get direct funds from governments and this will save the overhead costs of international NGOs when they act as a third party,” he said. But many say the Summit is more of a starting point for new level of concerted action rather than the goal itself. Katoub, for example, is deeply concerned about the protection of his colleagues, and other healthcare and aid workers, delivering services within the war-torn country. Without greater protection, changes in the funding paradigm will not bear fruit — and the Summit itself provided few short-term fixes. What’s it to you? What the promises made at the Summit could mean over the long term. To get a sense of what the lasting footprint of the Summit will be in for humanitarians working in communities around the world, we asked a few people for their thoughts. Let us know what you think by leaving your comments in the field below. Head of advocacy at Solidarity Now, a migrant and refugee support organization based in Athens, Greece. What did you hope to get from the Summit? “We wanted to come to the World Humanitarian Summit to generate a dialogue. We are suffering both a humanitarian and a financial crisis but there’s not a unified European response to either. We don’t think there will be a radical change [due to] this summit, there are still conflicts raging worldwide, but what can change is committing to joint action and this hasn’t been done. 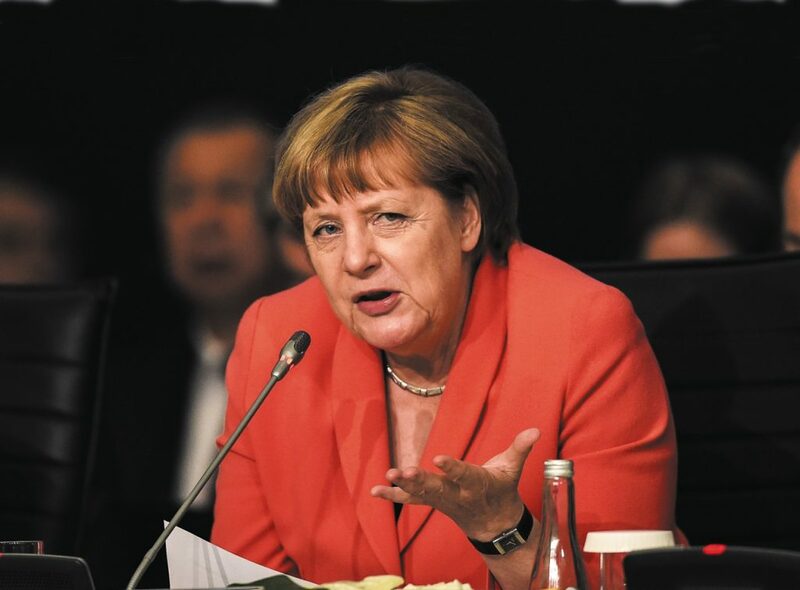 “At the moment there are divisions and self-interest all across the European Union so this is an opportunity not for new bold actions, but to remind and reinforce what we are already committed to. For example, we need a common European asylum policy and individual member states need to commit to the agreed refugees’ relocation scheme. The funding is there but its delivery is suffering from lack of common and unified purpose. Project manager for the Burkina Faso Red Cross. What do you think of the notion proposed at the Summit that local organizations and communities should have a greater voice in determining how humanitarian aid should be delivered? Do you agree that the humanitarian sector needs to do a better job of strengthening local community-based networks? Are international organizations, including the ICRC and the International Federation, taking the right approach? While discussions at the Summit helped to bring about greater consensus on exactly these issues, many non-governmental organizations, particularly the smaller ones, say it’s still unclear how the summit’s grand promises will help them and their communities develop sustainable solutions. 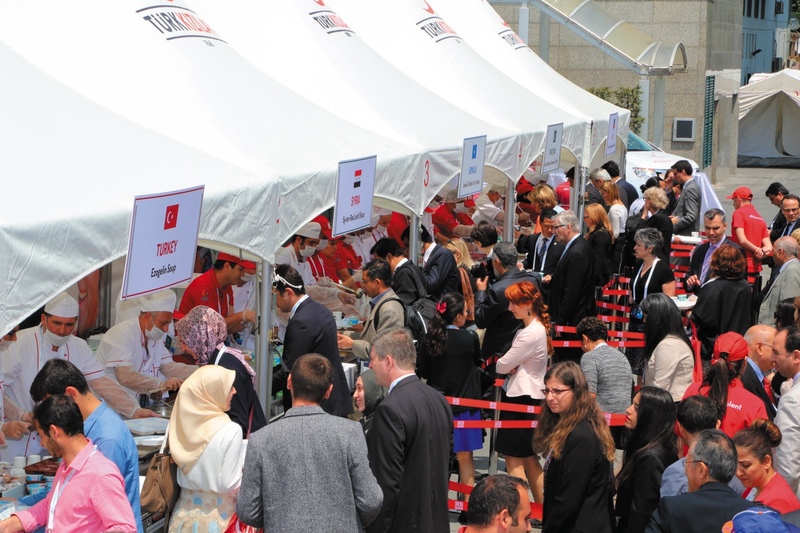 Many of the smaller organizations that attended the Istanbul event could not take part in key Summit plenary sessions but were able to show off their work at stalls in an exhibition hall five stories below the main conference rooms. At one stall, Anna Tuson, the manager of perhaps the smallest NGO to attend the Istanbul event, Small Projects Istanbul, casts a proud eye over her stall as throngs of customers queue up to buy jewellery, woollen hats and bracelets all made by Syrian refugee women living in Istanbul’s Fatih district. “We are the smallest fish here but we seem to be doing the best!” she says. Lobana, a 26-year old student who fled Aleppo after finishing university last year, relishes the opportunity to be productive: “Everything we make is by hand, we start from scratch and all the women have a role in producing each piece,” Lobana says. The funds generated allow their children to go to school rather than working punishing hours in the city’s numerous textile factories. What does the project’s manager, Tuson, think of the Grand Bargain’s idea that local organizations such as hers should get a greater share of resources? She likes the idea in theory, but she remains realistic given the demands that donors might place on small organizations. In the coming months, donors and humanitarian organizations, local and international, will be grappling with how to get exactly what is most needed to those who need it most at the local level. And they must do it even as the emergency needs continue to mount and as people in many places in the world are simply trying to survive day to day. When The Aleppo Project’s Shaar asks fellow Syrians what they think the Summit’s proposals will mean for people in cities such as Aleppo over time, many are simply not ready to say. “Some of our participants are not psychologically willing to say how things will be in the future — the priority for them is to think about how to stop what is happening now,” he said. Summit attendees take part in one of the many cultural side events. Photo: Turkish Red Crescent Society. Many of the most significant and long-lasting outcomes from the World Humanitarian Summit (WHS) are the result of work done well before 9,000 delegates gathered in Istanbul in May 2016. Building on collaboration in 2015 that led to the adoption of a Movement-wide statement to the WHS, as well as Movement position papers on the Grand Bargain and other issues, observers say the 125 Movement participants (representing 72 National Societies, the IFRC and the ICRC) were able to have a significant influence on the final WHS outcomes. Once in Istanbul, the Movement played a key role in pushing for a re-think of humanitarian financing, with more funding going to local actors, and more emphasis placed on strengthening local capacity to respond, complemented by national, regional and international organizations where needed. At the same time, the Movement was able to get recognition from key UN officials that the diverse humanitarian sector is more of an ‘eco-system’, not one monolithic humanitarian system falling under UN supervision. 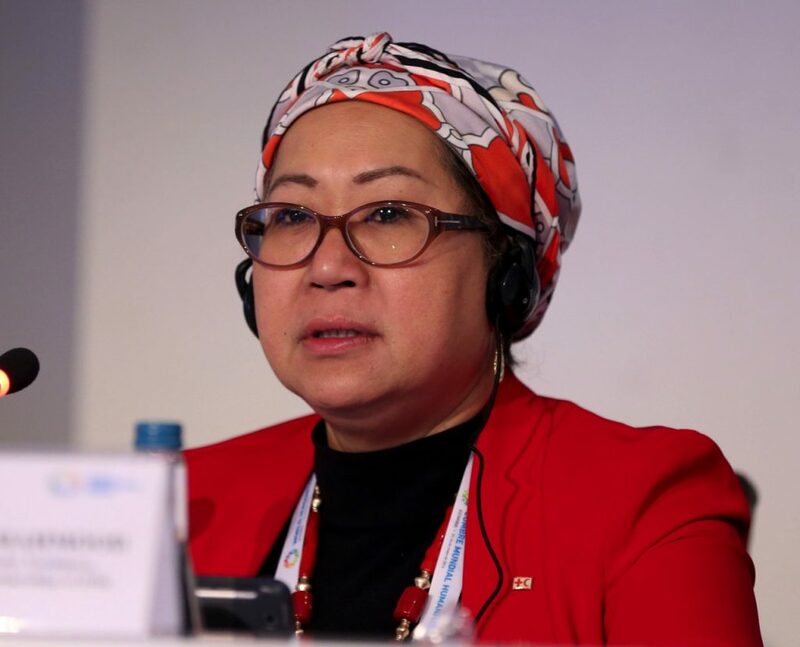 The IFRC and National Societies, meanwhile, was a key player pushing for 25 per cent of humanitarian funding to go to local and national responders by 2020, as well as long-term institutional capacity building — two points strongly affirmed in the final Grand Bargain agreement. For the ICRC, the Summit was a chance to make the point that when it comes to conflict, the most significant contribution towards alleviating suffering won’t come from changes in the way aid is delivered, but through political resolutions of conflict and through respect of international humanitarian law (see page 4). But the ICRC also joined National Societies and the IFRC in efforts to encourage donors to increase the percentage of their funding that is unearmarked or only softly earmarked funding by 2020. “The commitment by donors to provide more unearmarked funding and impose fewer restrictions will allow us to better carry out our humanitarian activities in conflict zones that are out of the media spotlight, for which we receive little designated funding,” said ICRC President Peter Maurer. The president of the Turkish Red Crescent Society, Kerem Kinik makes a point about cash transfers during a press conference; IFRC Under Secretary General for Partnerships Jemilah Mahmood takes part in a panel discussion; UN Secretary-General Ban Ki-moon during the opening ceremony; German Chancellor Angela Merkel, one of 55 heads of state to attend; summit attendees take part in one of many cultural side events. Photos: Erhan Elaldi/Anadolu Agency; İslam Yakut/Anadolu Agency; REUTERS/Osman Orsal; REUTERS/Ozan Kose. 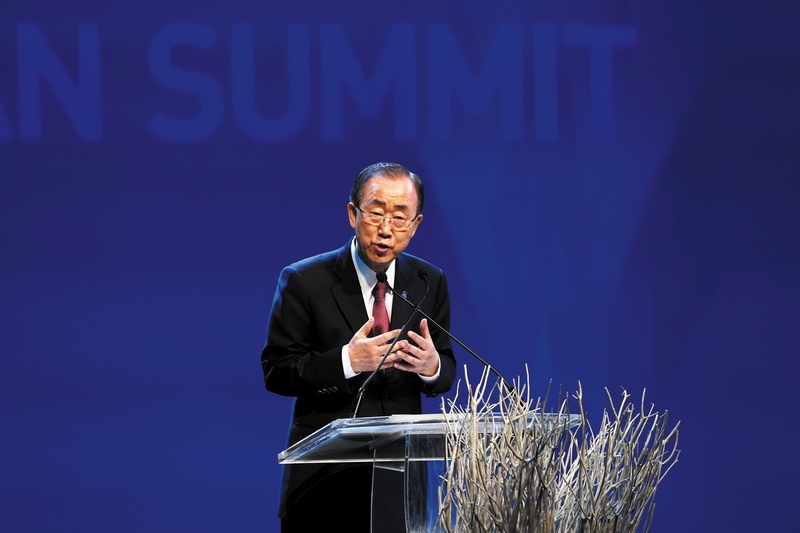 NextNext post:Guest editorials: World Humanitarian Summit — a big deal for humanity?